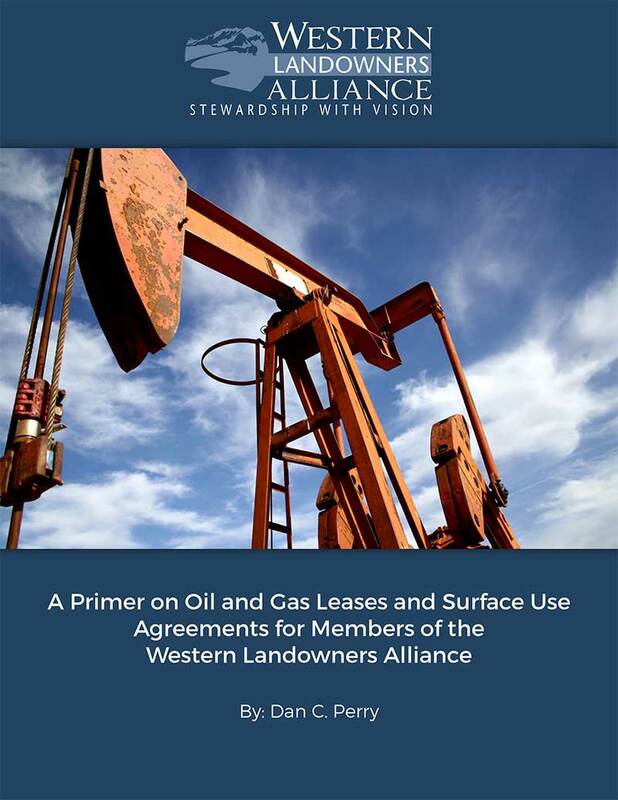 Written by Dan C. Perry, an oil and gas attorney and Western Landowners Energy Council member, this is a must read resource written specifically to inform landowners about oil and gas leases and surface use agreements. The first section walks landowners through three different potential situations related to oil and gas development on their land including 1) mineral owner does not want to lease its land, 2) accepting a proposed oil and gas lease without any negotiation, and 3) negotiating an acceptable oil and gas lease for your particular land. The second section provides information on and three examples of surface use agreements.